As part of PG&E’s diverse portfolio of generation resources, we safely operate several highly efficient and flexible natural-gas-fueled power plants. Investing in these cleaner conventional plants is critical as we increase the amount of renewable energy in our power mix, because it provides the operational flexibility needed to back up intermittent renewable resources such as solar and wind energy. Additionally, as combined-cycle power plants, the Colusa and Gateway Generating Stations play a key role in PG&E’s efforts to successfully integrate more renewables into the power grid. When renewables are unable to generate power (due to clouds or less wind, for example), these two facilities can quickly pick up the load and help keep the lights on for PG&E’s customers. Humboldt Bay Generating Station: This 163-MW natural gas plant is 30 percent more efficient than the older fossil-fueled plant it replaced. It employs technology that emits significantly less SO2, NOX and CO2 than the previous facility. 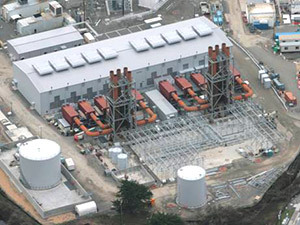 The plant is located in a relatively isolated section of California’s north coast region and provides a significant majority of the area’s electrical capacity. The plant’s design—selected for the region because of its flexibility and low emissions—uses reciprocating engines that are air-cooled, reducing water use by eliminating the need for once-through cooling from Humboldt Bay. 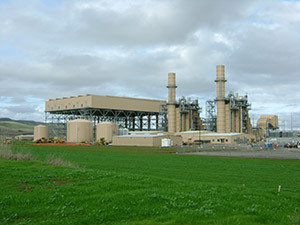 Colusa Generating Station: This 657-MW combined-cycle natural gas plant features cleaner burning turbines that allow the plant to use less fuel and emit significantly less CO2 than older plants. “Dry cooling” technology allows the facility to use 97 percent less water than plants with conventional “once-through” water cooling systems. The plant has 530 MW of base capacity and approximately 127 MW of low-cost peaking power that can be used at times when demand is high or in emergencies. In addition, the plant is designed to lower its output when power from renewable resources like wind and solar becomes available. The plant uses a zero-liquid-discharge system that recycles wastewater and further reduces its water consumption. 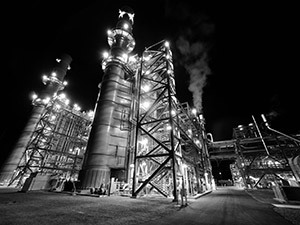 Gateway Generating Station: This 580-MW combined-cycle natural gas plant has 530 MW of base capacity and 50 MW of low-cost peaking capability. On average, the plant yields dramatically less NOX, SO2 and CO2 for every megawatt-hour of power produced compared with older fossil-fueled plants. Gateway also uses dry cooling technology. 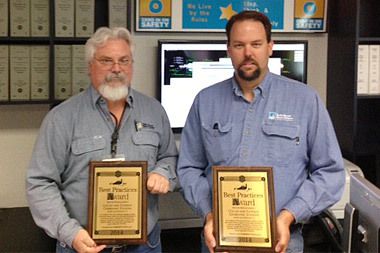 Combined Cycle Journal, an industry trade publication, awarded PG&E with the 2014 Best Practices Award for Chemistry for its work at the Colusa and Gateway Generating Stations. PG&E’s chemistry program controls water quality at the plants, which, over time, will reduce maintenance costs, keep the plants running efficiently and help PG&E integrate more renewable energy. In 2014, PG&E’s natural gas power plants provided safe, reliable and low-cost electricity to our customers. The following performance data represents the average availability factor of our natural gas power plants. 1 Refers to the proportion of hours in a year that a plant is available to generate electricity. PG&E’s support of clean power generation technologies is part of a broad portfolio designed to meet California’s growing energy demand in an environmentally responsible manner. Moving forward, we remain focused on ensuring a safe, reliable, affordable and clean supply of energy from the resources owned and operated by PG&E. As PG&E works to integrate more renewable energy, we also continue working to identify new and better ways to operate and maintain our facilities to meet this challenge.